Tex Special Projects design, manufacture and integrate bespoke structural, engineering and glazing systems for both military and civilian application, and undertake research, design and development for leading edge engineering consultancies. 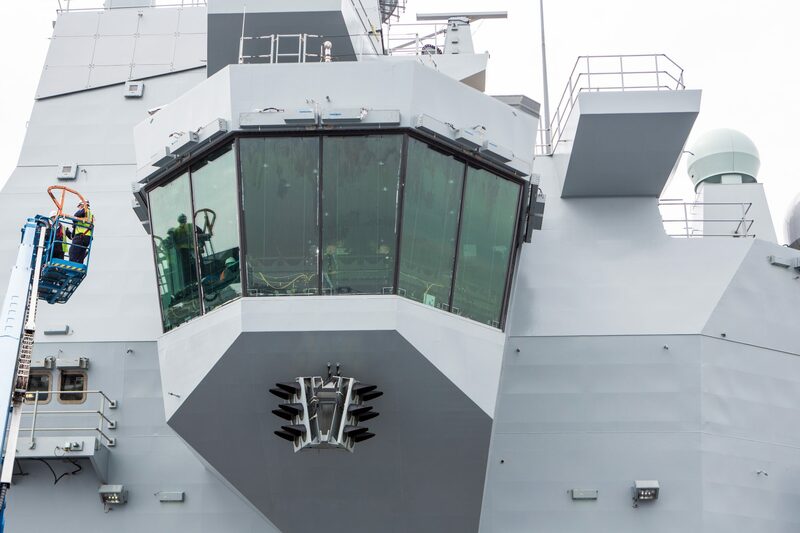 Projects include navigation windows and modular flying control rooms for the Royal Navy Queen Elizabeth Class Aircraft Carriers and engineered systems for the Indian Navy. Tex Special Projects comprises a highly specialized and dedicated team of technical consultants, designers, and engineers; their wealth of expertise is second to none. Delivering elegant, precision-engineered solutions, Tex Special Projects have built strong partnerships with clients, designers and suppliers, ensuring a fully integrated turnkey service, from concept visualization to CAD drawings, and from manufacture to installation. Tex Special Projects overseas representatives provide local knowledge and resources, and our clients can be assured of a personal service and continued support. Available for consultation, research and development, and large-scale tender proposals, Tex Special Projects delivers logistically challenging projects, on time and within budget. Our Maxi-View Tempest glazing and wiper technology defy the most extreme conditions and offer unparalleled visibility for confident, split second decision making. Environments can be optimized through our heated Maxi-View glass that can adopt attributes such as Electromagnetic Shielding, NBC compliance, Impact resistance and up to BR7 capabilities with optical clarity.